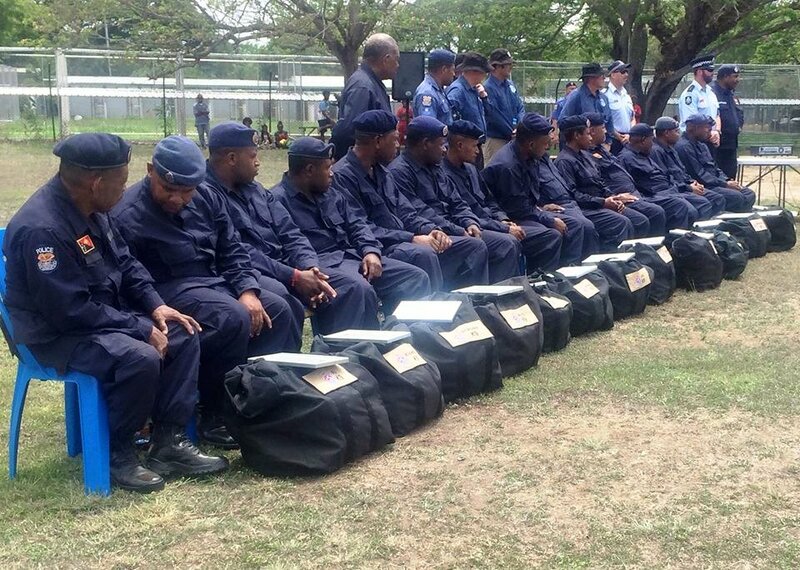 Police Dog Unit Directorate witnessed 14 police personnel graduating after 8 weeks in training. The Dog unit Members were trained by Dog expert contractors from Australia under the Australian Federal Police agreement to assist security during the APEC summit. Police Commissioner Gary Baki, Police Minister Jelta Wong and other Police Officers were in attendance at the graduation ceremony to witness the pass out of the 14 Dog Unit members. Minister Wong commended the Australian Federal Police for assisting RPNGC to prepare for the upcoming APEC summit and also he challenged the graduands to be loyal and use resources given to them wisely. Assistant Commissioner and Mission Commander for Australian Federal Police Bruce Giles also commanded the 14 graduands and said so much time has been used to discuss the progress of the training and he was happy to see the fruit of their discussions. He said the Police Partnership program between the RPNGC and AFP will be further strengthened to prepare for the 2018 APEC Summit. Commander Giles said more work is needed for Dog Training Courses next year to equip RPNGC Dog Unit with necessary equipments. He said there will be another training course for the Dog Unit next year.